Call us today to book a golf lesson! We have partnered with The English Learning Disability Sports Alliance. The School of Golf in the Community. The community is extremely important to The School of Golf and one of the most fulfilling partnerships we have is with The English Learning Disability Sports Alliance. The English Learning Disability Sports Alliance, a partnership between Special Olympics GB and MENCAP worked with The School of Golf to host ‘Discover Golf’ at Little Channels. “When a rather shy and nervous group from City of Chelmsford Mencap arrived at Little Channels Golf for their first golf session they did not quite know what to expect! However, the coaches, Jack Cole and Matthew Mahoney, were immediately welcoming and quickly put them at their ease. They took time to develop a professional relationship with our members and to understand their needs. They prepared well planned sessions with time for Mencap members to develop individual skills, to try new challenges and to have fun. Since the start of the ‘Discover Golf’ Programme, England Golf have used this set-up as a case study and blue print in order for similar programmes to be delivered across the country. During these sessions we have seen our members develop in many ways, Their golf skills developed amazingly, at the beginning most of them had never held a golf club before and certainly not been on a putting range or golf course but by the end of the sessions they were confidently putting, chipping and hitting the ball fair distances in a fairly controlled manner. Their self-confidence developed as they realised their own abilities were improving. They also developed their listening skills as they realised they needed to pay attention to what they were being asked to do. They developed their communication skills and relationships; some of the group have very limited speech but we saw this gradually develop as they became more confident and were better able to interact with a range of people. They developed their ability to take turns; to be disciplined in when and where to hit the golf ball and to be more aware of others. The coaches and other golf club members were always very welcoming, kind, professional and encouraging to the Mencap group. Playing ‘proper golf’ with members of Little Channels gave the Mencap group the opportunity to extend and show off their newly acquired skills, to meet new people and to develop their communication skills. These golf sessions conducted by Jack and Matthew have given many of our members at Mencap a new interest. It was good for them to be exercising in the fresh air and to meet new people. They certainly looked forward to the weekly sessions and we would very much like this group to further develop their new skills. We would also very much like to be able to extend this opportunity to other City of Chelmsford Mencap members – we have an enthusiastic waiting list! 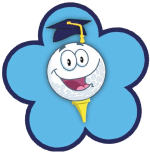 The School of Golf Academy is for juniors who are looking to progress from learning to play golf. If you are a school in the Chelmsford, Basildon or Southend areas, looking for golf clubs to be run before or after school, please contact us. On completion of your golf lesson request we will contact you to confirm the times and dates of your golf lesson(s) via email. If the chosen lesson doesn't have a preset date please let us know in the comments box below you preferred date / day and time and we will endeavour to accommodate you. Our pricing is set on a per person basis, please change the quantity to alter the amount of people attending the class. Once your satisfied with your order, please click proceed to payment and you will be redirected to PayPal. Our boys have been coming to The School of Golf for lessons for a couple of years now and it is the highlight of their week! Matt and Jack are brilliant with the kids and make learning fun in a friendly environment with excellent coaching. The children have really progressed and more importantly have become more confident as people! Would highly recommend. I have been having lessons with the guys at ‘The School Of Golf’ for the last 12 months. I went to them with an ok handicap of 16 but a fairly bad swing and was beginning to lose interest in golf, they slowly broke my swing down and started to rebuild my confidence whilst making small changes that were easy to understand and implement, over time I have started to hit a nicer shot shape and have a far better understanding of what I am meant to be doing. I am now playing off 13 and starting to enjoy the game again. Whilst I have worked on most aspects of the game, my biggest improvement has been my short game, the shots I used to fear I now have full confidence with, this is due to TSOG. I cannot recommend these guys highly enough. Matthew ensures the session are good fun and also that the pupils learn the skills needed to enjoy the sport. A very professional organisation. Looking to improve your golf short or long game?